A woman was killed in a crash involving two vehicles in west suburban Oak Brook. 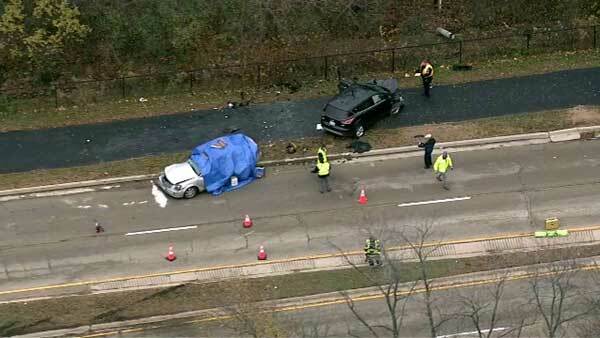 OAK BROOK, Ill. (WLS) -- A woman was killed in a crash involving two vehicles in west suburban Oak Brook. Emergency crews responded to 31st Street west of Regent Drive just before 9:45 a.m. Thursday. Police said preliminary investigation shows a vehicle traveling west on 31st Street crossed the median into the eastbound lanes and hit another vehicle head-on. The woman driving the car that crossed the median was pronounced dead at the scene, police said. She has not been identified. The other driver was badly injured and rushed to the hospital. That person's condition has not been released.